What are the true benefits of a high fiber diet for those living with diabetes? We’ve got the scoop and what you should be eating for your next meal! While fiber is indeed a type of carbohydrate, the human body does not break it down, so it poses no risk of rising the glucose levels on a diabetic patient. This is basically why a high fiber diet can actually be super beneficial for those living with the disease. In addition, fiber does not contribute any calories to our daily intake, and it is amazing in lowering our cholesterol and keeping the digestive system working. So, why not try some high fiber diabetic recipes next time you cook? A high fiber diet has a wide number of benefits, in addition to those mentioned above. It is been proven that as one of the best foods for diabetics, fiber has the particularity of keeping us fuller for a longer period of time. Many studies have also showed that eating a high fiber diet contributes to healthy weight loss and may even lower the chances of risks associated with diabetes. The important thing when trying high fiber diabetic recipes is to keep into consideration that most of the foods that contain significant amounts of fiber, also contain carbs like starch and sugar. This is why it is important to account for it in your meals. Nutritionist and dietitians agree that – on average – a person should consume around 20 to 35 grams of fiber per day. Recent medical studies have shown that by consuming an even larger quantity, up to 50 grams, diabetics can actually control their blood sugar levels better. So, why not give a high fiber diet a try? With the guidance and support of your Doctor and Specialist you can elaborate a list of the best foods for diabetics and come up with great recipes that will keep you satisfied without compromising your health. Seared Salmon with Beans: this delicious recipe is not only packed with flavor and rich in nutrients, but the melt-in-your mouth salmon will leave you craving for more. One that can easily become a favorite in your book! 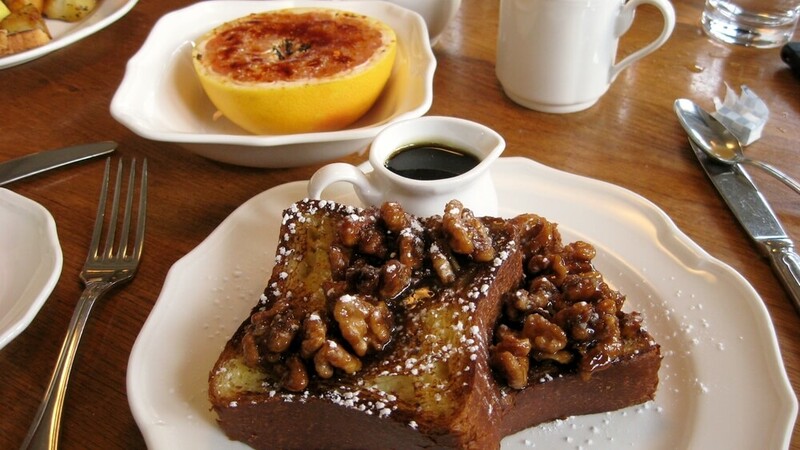 Maple-Apple Drenched French Toast: for this with a sweet tooth, this plate will deliver. Crunchy pecans and home-made apple topping is the perfect combination for this mouthwatering dish. Stuffed Squash: taking a cue from the Tex-Mex cuisine, this recipe will satisfy those meaty cravings. Best of all? You can switch the meat for shredded chicken or ground lean turkey for a twist. Caribbean-Style Pork Stew: the flavors of the islands right on your table! That is what this rich recipe provides, while also being colorful, flavorful and aromatic. Oatmeal Brunch Casserole: we already know how fantastic oatmeal can be. But this recipe takes the cake when it comes to flavor, just imagine starting your day with infusions of vanilla, brown sugar and apple. Yummy! A high fiber diet, as seen above, does not have to be boring or lacking in taste. With so many options available you can find the perfect dish that will provide the nutrients you need, without compromising your health.